There was also a case of a child’s ashes being stolen in London earlier this week. POLICE IN NORTH Belfast are appealing for information after a baby’s ashes were stolen during a burglary in the Ballygomartin Road area last night. Inspector Paul Noble explained: “During the burglary, which we believe occurred between 6.15pm and 9.30pm yesterday evening, a small clear bag from a wooden box which contained the ashes of the victim’s deceased baby daughter was taken. Understandably, this has left the victim extremely distressed, therefore, we are appealing to whoever entered the property last night to please do the right thing and return the bag to police. Noble also appealed for anyone who was in that area during that time last night, or anyone with any information, to contact police at Tennent Street station. Police in London are also appealing for witnesses after a box containing children’s ashes were stolen in a separate burglary. 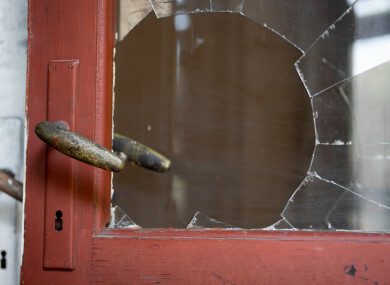 A house in Castlegate in Richmond was burgled on Monday afternoon between 2pm and 5pm. Along with items of jewellery, a maroon box – measuring 13cm by 8cm by 9cm – was taken which contained the ashes. Detective Constable Rajinder Chana said: “This has been a heartbreaking ordeal for the victim, who desperately wants her children’s ashes returned. They are of no value to those who stole them, and we would ask that they be returned as soon as possible. Email “Appeal after baby's ashes stolen in Belfast burglary”. Feedback on “Appeal after baby's ashes stolen in Belfast burglary”.